Strength, intelligence, courage… I hope I’ll be able to gain at least one of those traits eventually! Hello everyone! My name is Isono, a member of Max Factory’s planning team! Today I’m going to be taking a look at these products that went up for preorder today! 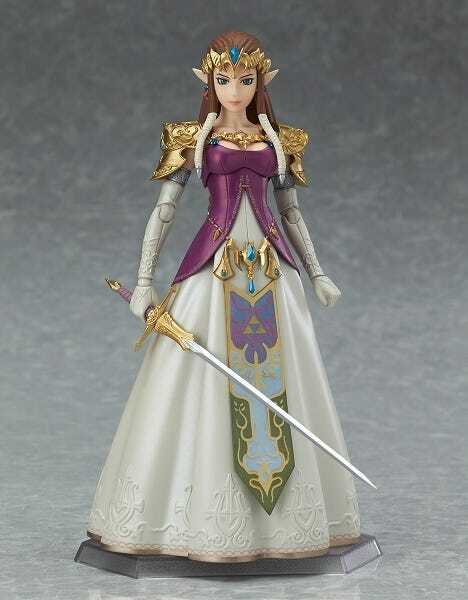 figma Zelda: Twilight Princess ver.! 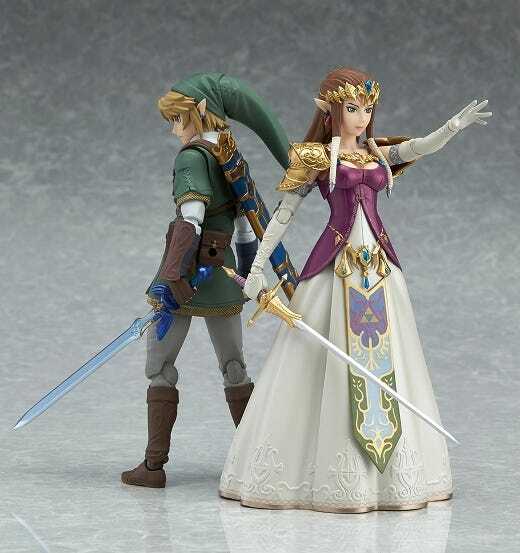 From The Legend of Zelda: Twilight Princess comes a figma main character and hero of the series Link together with the Princess of Hyrule, Zelda! They’re both so amazing!! So… beautiful!!! With just one quick glance at the figures you can tell that the sculpting and painting of both is so amazingly detailed!! Let’s take a closer look at them one-by-one! Ladies first! ▲ This first photo shows off her dignified expression as well as the sword that she holds at the ready! She looks beautiful no matter what side you choose to look at her from! The somewhat mysterious atmosphere about the Twilight Princess version of Zelda has also been captured so nicely! 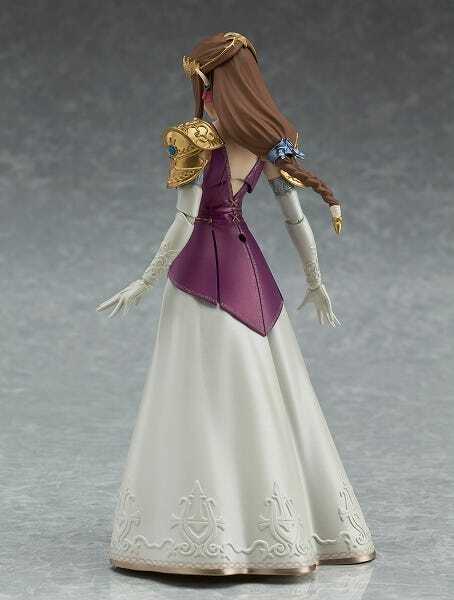 The first thing that really stands out about figma Zelda is the lovely colors! The paintwork on her accessories, dress and skirt almost all make use of a pearl paint which gives her outfit a silky, gorgeous shine. That said, the shine is by no means a glittery effect, but more of an elegant gleam that creates a lovely dignified look at captures Zelda beautifully! 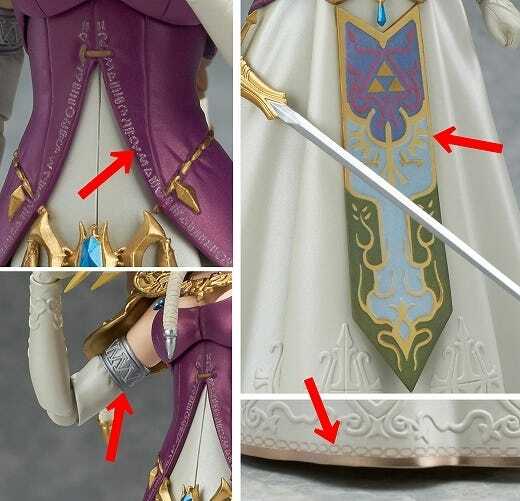 By the way, although you can’t see them in these photos, Zelda’s pants and boots have also been faithfully sculpted and painted underneath the dress! 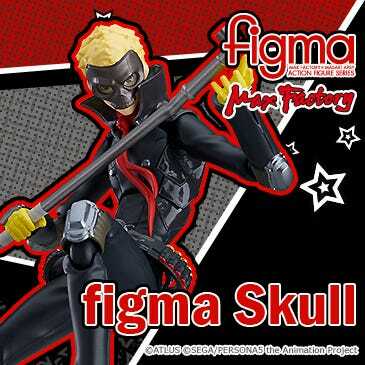 ▼Another thing to note is the intricate changes in color all over the figure! The arrows all point to areas that have been painted with the utmost attention to detail! ▲ Next up we have her smiling expression! Such a gentle smile that just overflows with both kindness and beauty! The next point I want to make everyone aware of is the accessories and ornaments on her outfit… the shoulder armor, crown and various other parts are all made using 3D sculpting! The fact that they are made this way allows the more intricate patterns and shapes to be preserved! 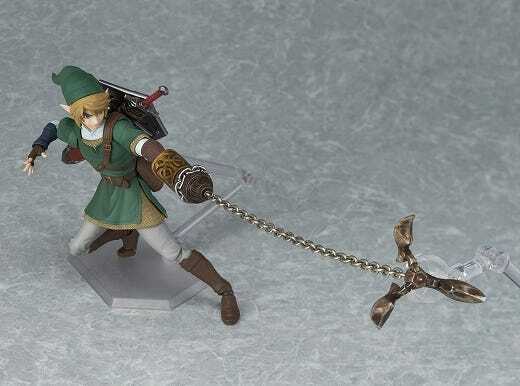 ▲ The Bow of Light she used in the battle with Ganondorf is also included! The bow also of course features pearl paint! The bow and arrow itself has also been beautifully sculpted from top to bottom creating stunning beauty that you would normally never associate with a weapon! The skirt is also articulated allowing for a wide range of different posing options! 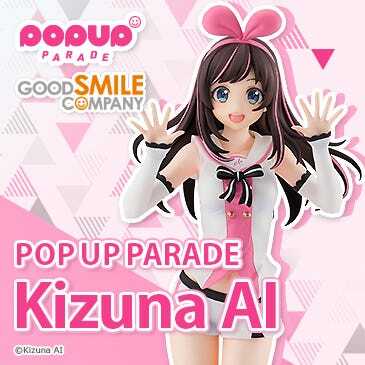 She comes with two expressions: a standard expression and smiling expression as well as two accessories: a sword and the Bow of Light! 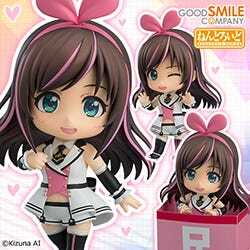 She will be available for ¥5,600 (Before Tax)! ▲ This confident expression with tense eyes always leaves such a strong impression! 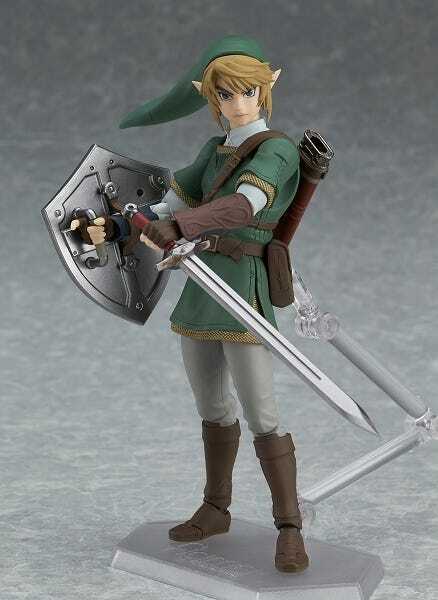 The build of his body has been captured so nicely showing off just how handsome this version of Link is!! The overall sober tone of colors used makes him look a little more grown-up compared to the previous figma figures of Link! Let’s take a closer look at his heroic outfit!! ▼ The arrows here show the chain mail armor made with 3D sculpting! You can see each of the little chain links creating a lovely texture for the armor! ▼There us also a joint located in the hat, which allows it to be moved around both horizontally and vertically! ▲ Next up we have a face with clenched teeth! 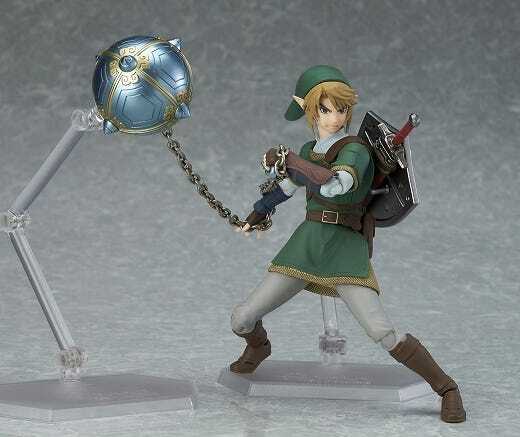 This glaring expression is perfect for combat poses and instantly makes Link look more skilled with his weapons! 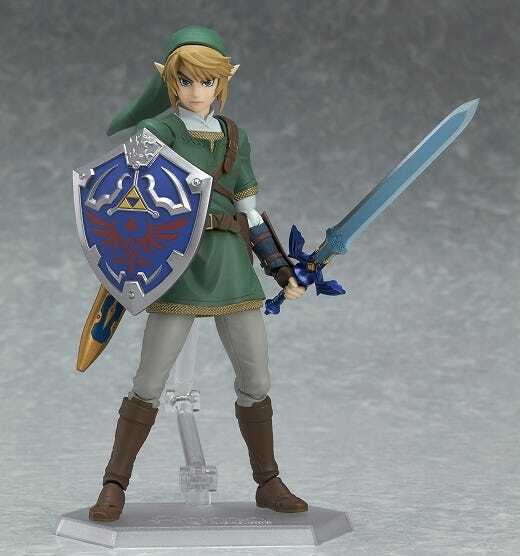 The series classics have been included with the Master Sword and Hylian Shield both included! 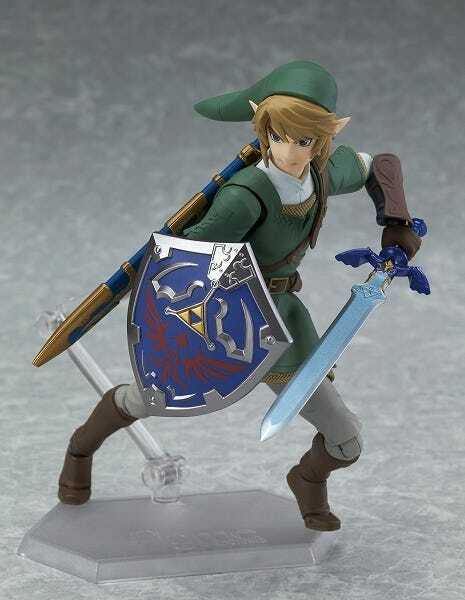 ▼ The Master Sword can also be sheathed on his back! ▲ A powerful shouting expression is also included! This makes for a very daring and resolute appearance that looks great with dynamic poses like the one above! 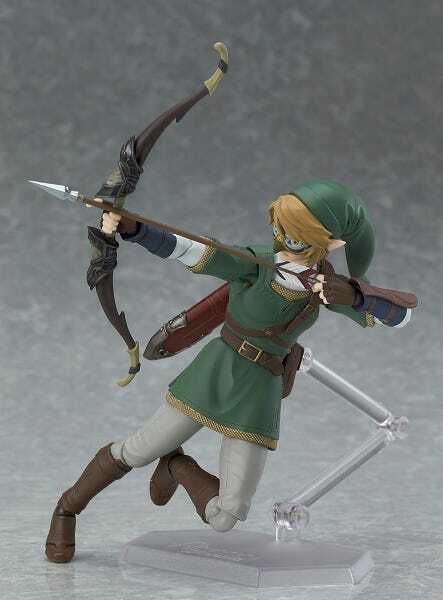 figma Link: Twilight Princess ver.! 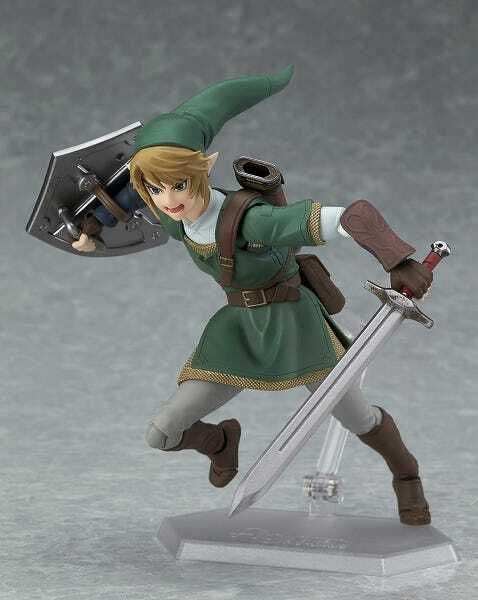 He comes with three expressions: a standard expression, clenched teeth expression and shouting expression as well as two accessories: the Master Sword and Hylian Shield! 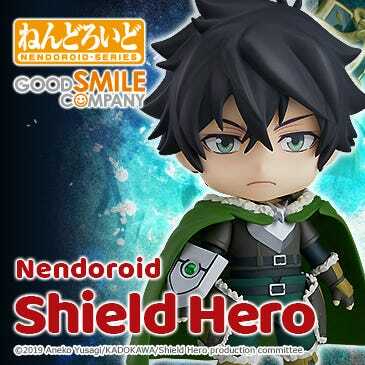 He will be available for ¥5,093 (Before Tax)! 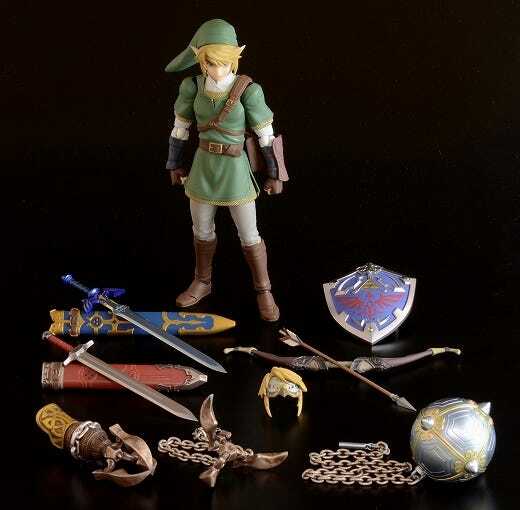 Once again we have a special DX Edition that comes with a variety of bonus items for way more posing options that bring out the Legend of Zelda universe! ▲ The Ordon Sword and scabbard used by Link at the start of the game! ▲ The Hero’s Bow and Arrow and Hawkeye! ▲ The Ball and Chain! Plus the Clawshot comes in both an opened and closed form for different posing opportunities! All of these amazing items are included with the DX Edition! Just look at the full line-up of parts all lined up with the DX Edition! Everything above will cost just ¥6,000 (Before Tax)! 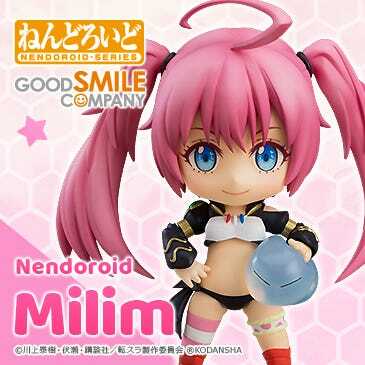 Both of these products will be available as standard products in stores as well as from the GOOD SMILE ONLINE SHOP! 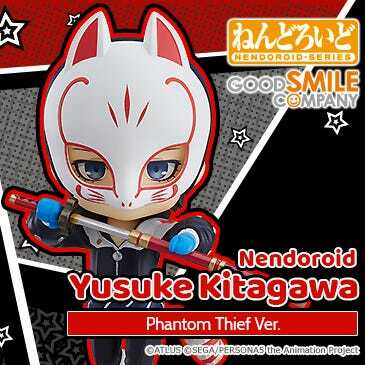 They are both up for preorder as of today!! Don’t miss out!! 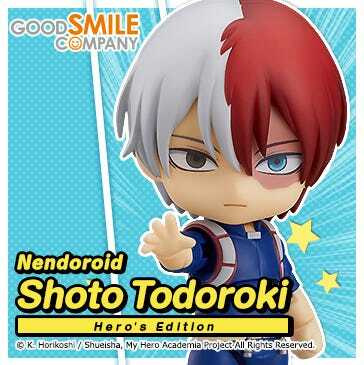 We’ve also set up a special page that takes a look at some of the finer points and details of the figure, so be sure to take a look at the link below! 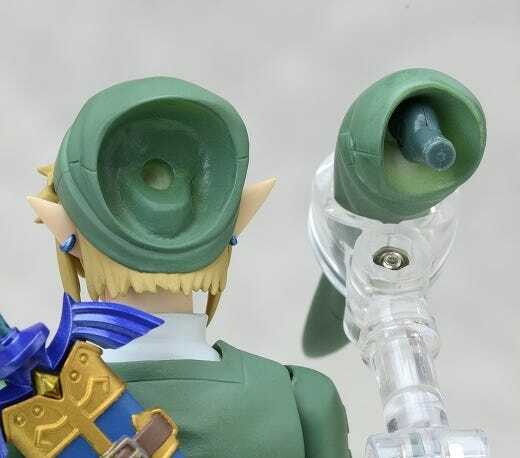 ○ figma Link: Twilight Princess ver. 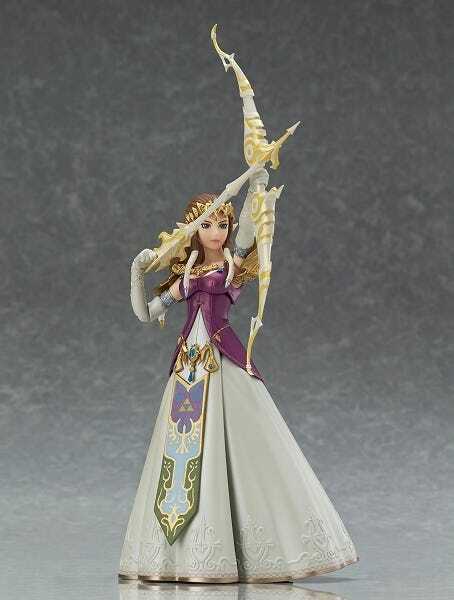 ○ figma Zelda: Twilight Princess ver. Anyway, that’s all from me for today! I hope you enjoyed this special blog!! 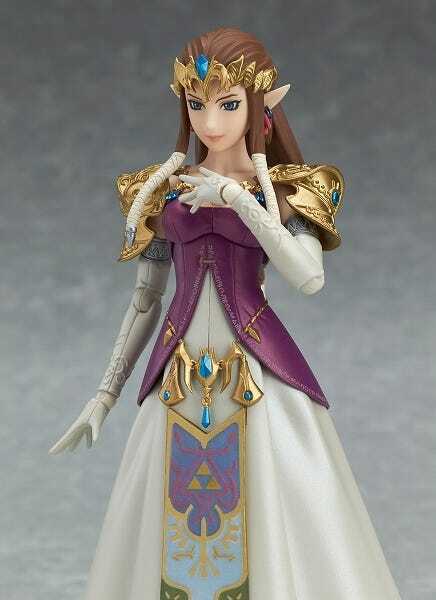 ■ figma Zelda: Twilight Princess ver. 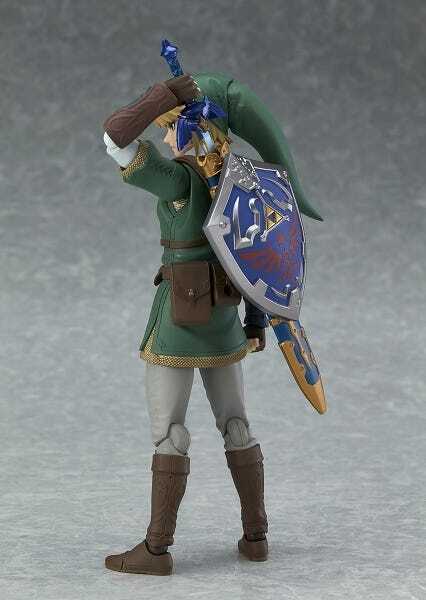 ■ figma Link: Twilight Princess ver.